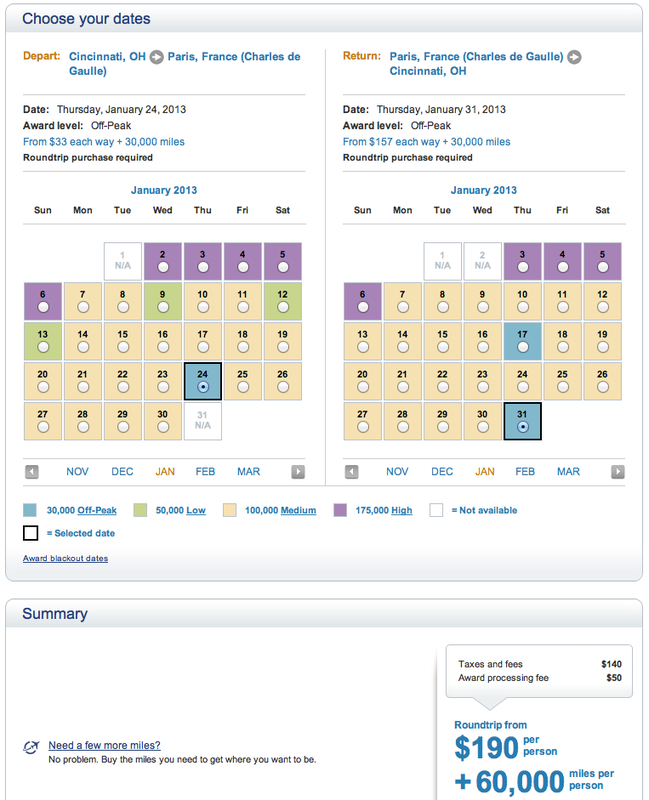 Update (November 21, 2012): Off-peak availability for 60k mile roundtrips in Business Class is gone. If you didn’t get on the plane with me this year, I look forward to seeing you in 2013! I recently read (on http://milevalue.com) that the US Airways Airbus 330 is the flagship of their Business Class. US Airways has something called “Off-Peak” awards — Business Class awards requiring 60,000 miles roundtrip to Europe versus the normal 100,000-350,000 — available on limited dates between January 15 and February 28, 2013. 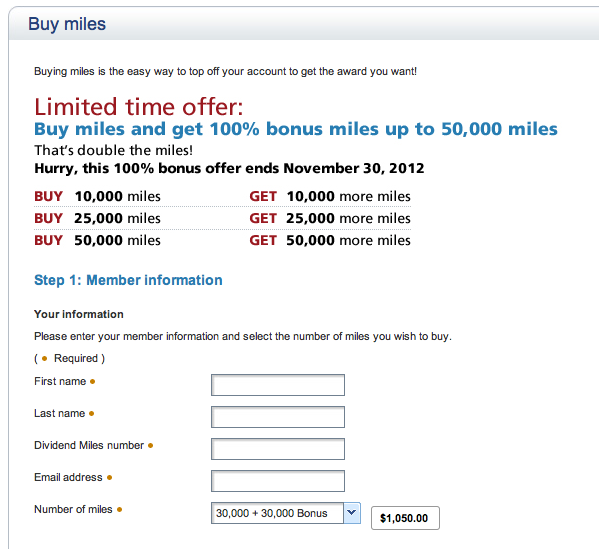 US Airways just announced a 100% bonus on miles purchased (buy 1 get 1 free), cutting the normal cost ($.035/mile) in half. US Airways flies the Airbus 330 from Philadelphia to Paris. I can puddlejump CVG to PHL. I’m always ready to go to Paris, even in the dead of winter. 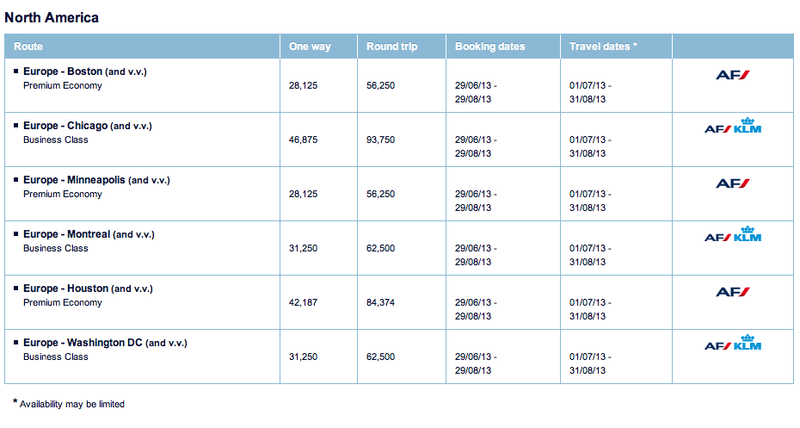 I decide to book an off-peak fare to Paris! All I need to do is figure out how to make it work. Booking a Mileage Award with no Mileage: I have history with US Airways. My “US Air” Frequent Traveler Program card shows a “member since” date of 09/85. But I now live in Cincinnati, Ohio. It’s been awhile since I’ve had the opportunity to fly US Airways. I have zero miles in my account. With these offers, however, zero miles doesn’t seem to be a problem. I can buy the 60,000 I need for an “Off-Peak” roundtrip (as long as I’ve been a member for 12 days ?!?!?) for $1128.75 including the taxes. “Off Peak” means US Airways chooses the dates for my vacation: Here’s the chart for January off-peak flights to Paris from Cincinnati. Notice anything funny? Yep. Only one day is “Off-Peak” outbound and only two days back. There are none in February. Oh, well, Paris museums are heated. A week in Paris in January sure beats an week in Cincinnati in January. Let’s go! 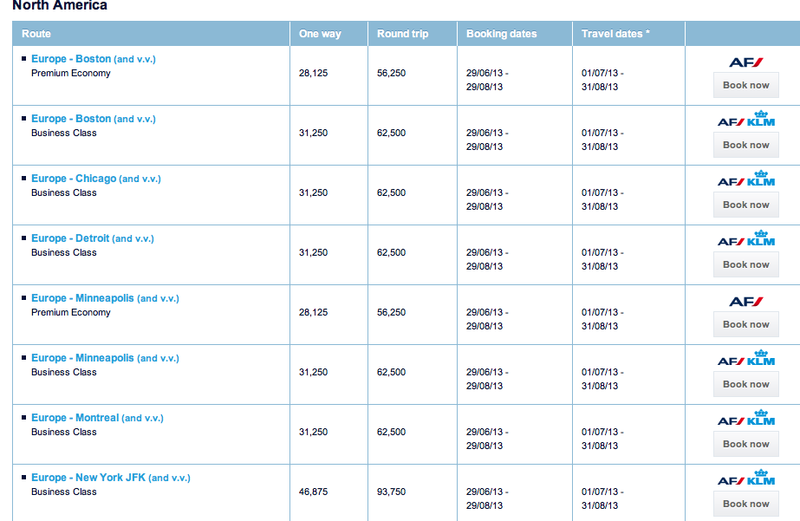 So far, the tab for the flight is $190 in fees and $ 1128.75 to buy 60,000 miles = $1318.75. I have to know — How’s this compare to buying the ticket? 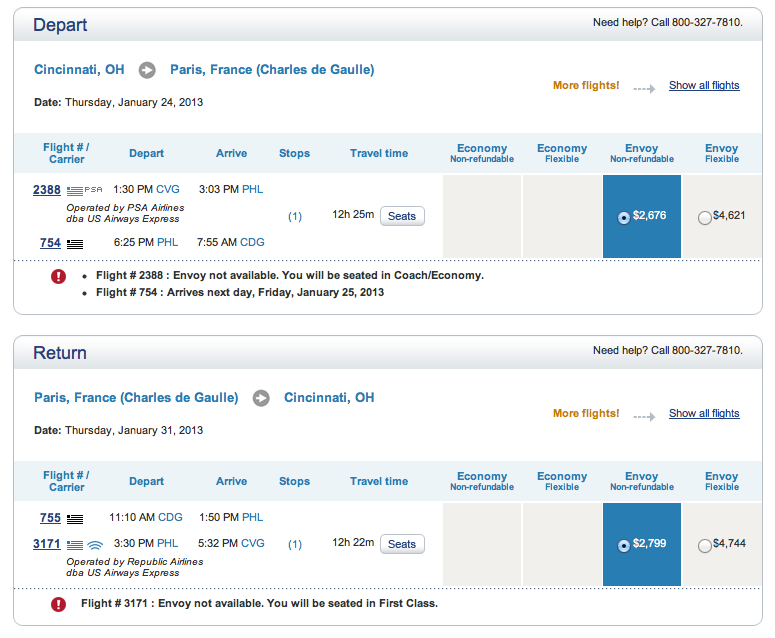 Roundtrip January tickets to Paris. 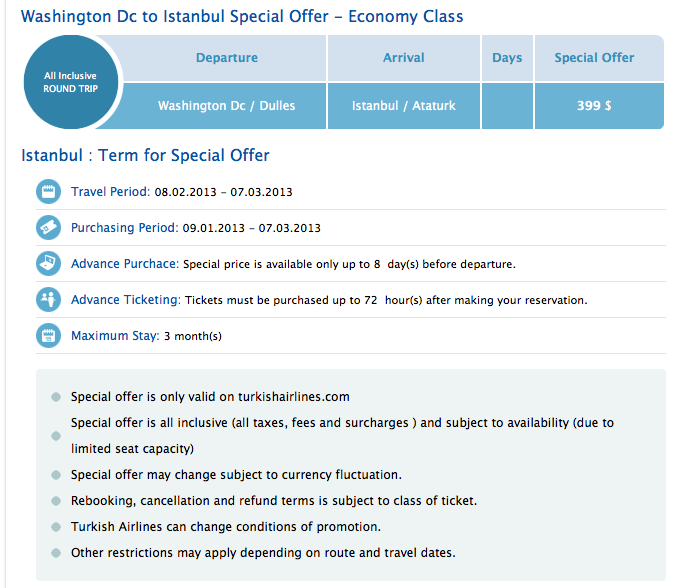 On the same “Off-Peak” days, the lowest (non-refundable) business class fare for the same flights is $5475. I can save $4156.25! 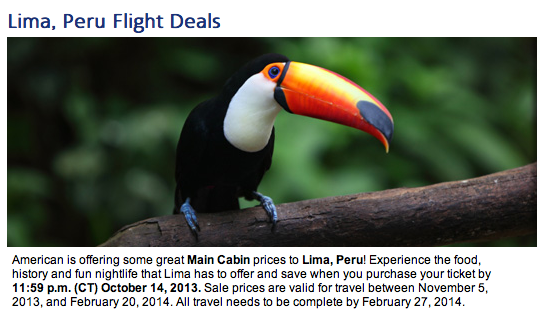 I check some other dates during the month, but can’t get the fare below $5300 on US Airways. Since I’m booking this flight as an award ticket, I earn no frequent flier credit for the 12,600 miles I’ll fly. No wonder I can’t keep any miles in my account. Don’t waste your hard-earned rewards points learning how to use them. Follow me as I crawl through a ticketing experience. The background: I wanted two round-trip Business Class tickets from Cincinnati to Barcelona in September. Beginning in January, I hounded Delta.com looking for rewards tickets at the low end of their redemption scale (which runs from 100,000 to 325,000 Skymiles for a Business Class ticket.) Their award calendar had mostly blue days — blue for days with high-end, 325,000 mile tickets — 650,000 for two roundtrips wasn’t going to happen. Chasing green (low mileage) days led to flights with obscene layovers, bad connections, or revealed the disconnect between Delta’s Rewards Calendar and actual available bookings — I’d book one way and by the time I’d gotten to the return booking, it didn’t exist. I may have screamed — several times. Did I do OK? Under $2100 each for roundtrip business class to Europe — I was feeling pretty good about the ticket price until — no surprise — buyer’s remorse reared its ugly head. The $4193 I spent would have bought about 120,000 Skymiles from Delta at 3.5 cents each — if Delta didn’t limit me to buying 60,000 each year. 120,000 plus the 56,000 I redeemed was still way short. So I got back all but 11,371 of the points I redeemed to get the $675.61 credit, making the redemption worth almost 6 cents a point. I had a great time in Europe. Did I do the math right?